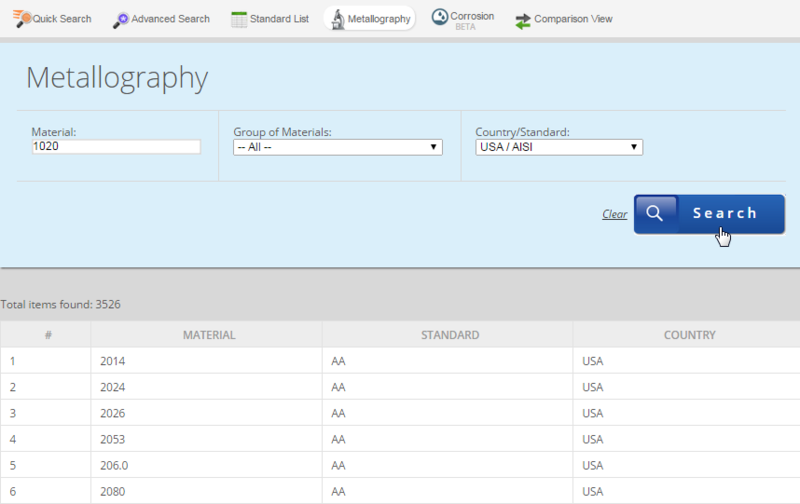 The CMn steels with the addition of Al or/and Si is a new generation of HSLA grade. These kinds of steels are used in automotive application, offering great potential for bodies-in-white. 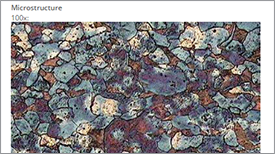 These steels are characterized with ferritic-bainitic microstructure with retained austenite, which undergoes martensitic transformation during technological forming of products, additionally contributing the strengthening of a finished part. Steels strengthened through the TRIP effect usually consist of around 0.2% C, 1 2% Mn and around 1.5% Si. 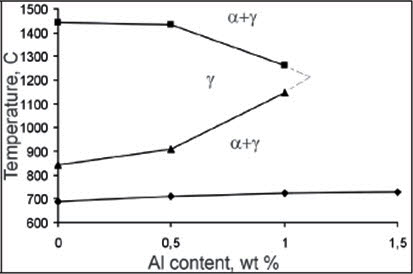 Participation of retained austenite, usually being equal from 10 to 15% has a decisive contribution for obtaining high strength and ductility of these steels. It generally depends on carbon concentration in austenite increasing in individual stages of production of sheets made of this group of steels. 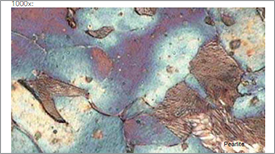 Thermodynamic stability of retained austenite is defined by the temperature of martensitic transformation start Ms. Depending on the required sheet thickness and specific application, TRIP-type steels are manufactured through intercritical annealing of cold rolled sheet with successive isothermal holding in range of bainitic transformation temperature or through energy-saving method of thermo-mechanical processing. The majority of research concerning steels with TRIP effect refers to the elaboration of optimum heat treatment conditions after cold rolling, allowing achievement of desired participation of retained austenite. Moreover, their behavior during cold plastic deformation with variable strain rate in room temperature, lowered and also increased temperature is also investigated. 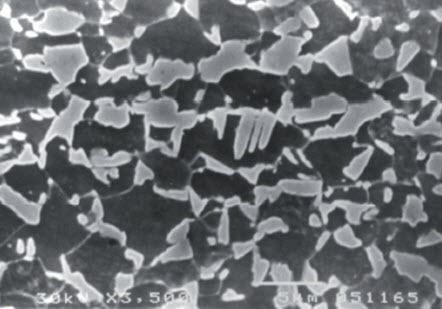 Obtaining a fine-grained microstructure of the steel before the beginning of direct cooling from the temperature of last roll pass requires knowledge of chemical composition influence, and in particular, impact of microadditions introduced into the steel in strengthening processes and recrystallization occurring in hotworking conditions. So far, problems regarding TRIP steels haven’t received much attention, whereas they are essential for correct design of hot rolling. A similar approach should be applied in the case of microalloyed steels as well as IF and DP-type steels, which are the subject of physical simulations and mathematic modeling. Apart from strict monitoring of temperature–time conditions during hot rolling, precise control of the course of cooling after last roll pass, particularly in a range of γ→α transformation and during isothermal holding in bainitic range is also required. Many studies of TRIP-steels have been concerned with the mechanical properties and the heat-treatment parameters of CMnSi TRIP-steels. There are few studies focused on the microstructure and mechanical properties of CMnAlSi TRIP-steels. 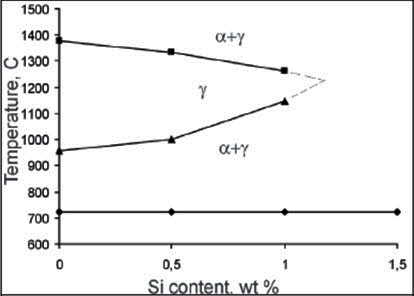 Also, the effects of mechanical stability of retained austenite and the heat-treatment conditions on the resulting mechanical properties have not been investigated sufficiently. In the paper of Gajda B. and Klis A.K. 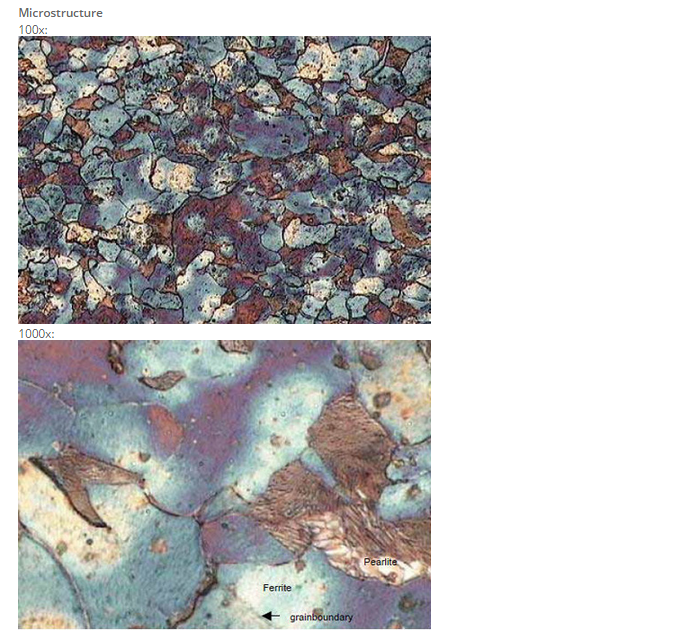 is presented the results of investigations of microstructure changes in the modern high-strength CMnAlSi steel after austenitization at (α+γ) temperature 900°C/60s in order to determine the influence of the cooling rate on the phase transformations and obtaining multiphase TRIP-aided microstructure. Also the effect of alloying elements on the Ac1 and Ac3 temperatures and the volume fractions of austenite in various (α+γ) austenitization temperatures for the investigated steel were presented. 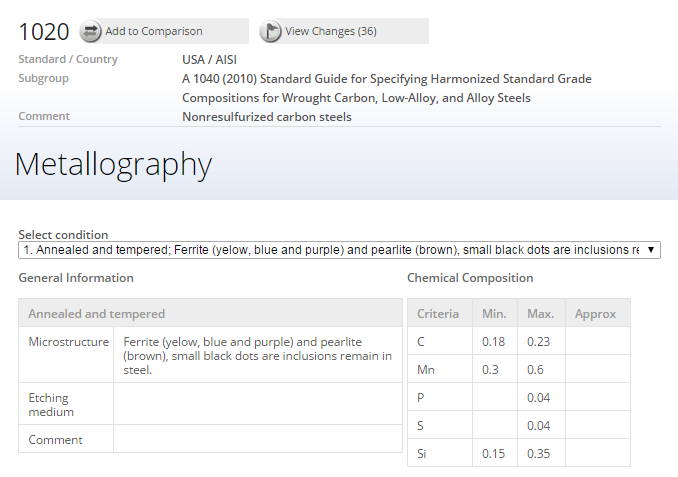 It is shown in Figures 1 and 2 that the additions of Al and/or Si haven’t got the strong influence on Ac1 temperature, it varies from 688°C to 733°C, but with the increase of Al and/or Si content in the steel the Ac3 temperature grows strongly. 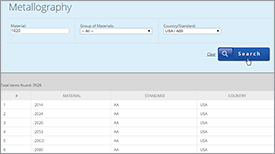 It is not possible to obtain the fully austenitic region for the steel with the addition of Al or Si higher than about 1.5%. Al and Si are the elements strongly stabilizing ferrite. 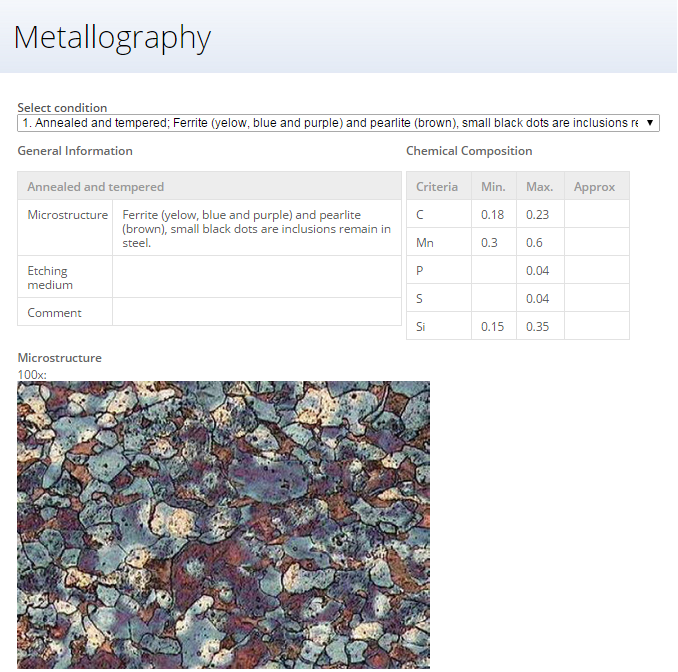 In the investigated steel after austenitization at 900°C/60s about 50% of austenite is obtained. Cementite is completely dissolved. 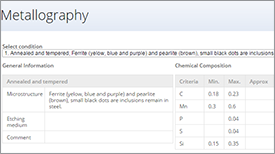 The new austenite saturated with carbon and manganese transforms during cooling to various phases. 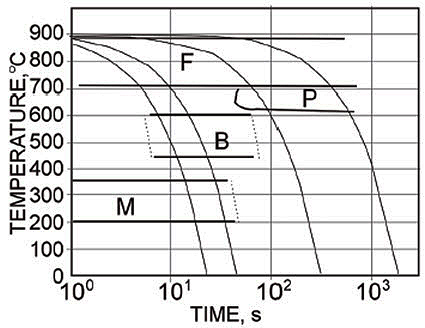 Dilatometric curves of the samples heat treated at 900°C/60s were used for creation of the CCT diagram of the investigated CMnAlSi steel. The diagram is shown in Figure 3. Steel CMnAlSi is well suited for production of TRIP grades in a large range of temperatures from 800°C to 900°C at the cooling rates of about 10°C/s to 40°C/s. The amount of 50% austenite at temperature 900°C allows for production of a TRIP microstructure with stable retained austenite.